This must be one of the quickest and easiest way to save money and avoid E-numbers. The ingredient list on a tub of spreadable butter substitute is fairly lengthy, and includes several things I struggle to pronounce. Not ideal. The alternative, actual spreadable butter, is outside my normal budget and seldom available unsalted in any of my local shops. 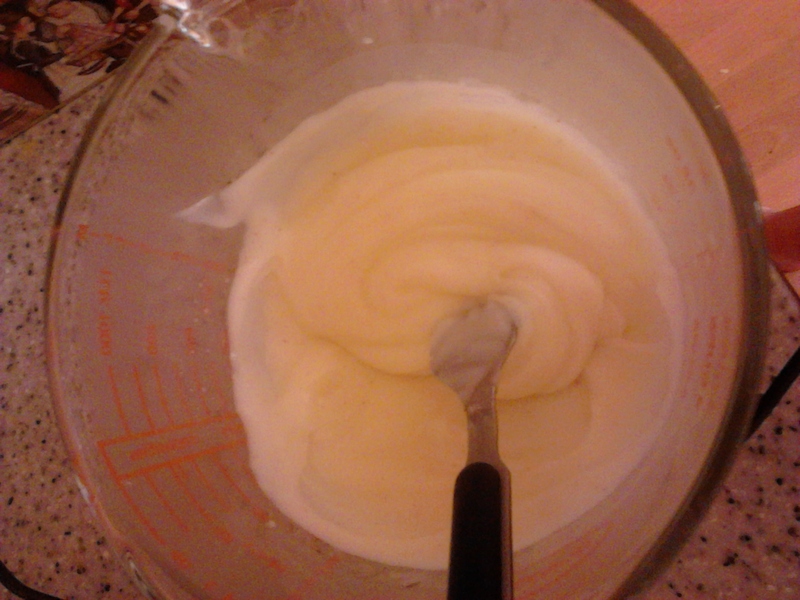 So, I looked at the proportions and ingredients on the side of a tub of Lurpak and started experimenting. The result is gratifying, and can be customised to match your preference for firmer or softer spreadability. Place everything in a suitably-sized bowl and mix enthusiastically by hand, using an electric mixer, or using a blender. Scrape the resulting creamy stuff into a tub, and refrigerate until needed. These proportions give “butter” that is solid in the fridge but can easily be scraped up to spread onto bread or toast. If your bread is fragile, try increasing the proportion of oil and/or milk gradually until you get a consistency you like. I’d been at work all day, and he was ill. No cooking had been done, and tummies were growling. 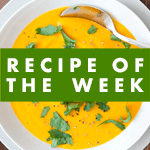 One package of tortilla wraps, the end of a block of cheddar, and the scrapings from a tub of creme fraiche magically became a meal with the addition of this wonderfully satisfying and totally meat-free concoction. It’s equally good as a topping for a baked potato, or the base for cheesy nachos. First, obtain some cooked beans. 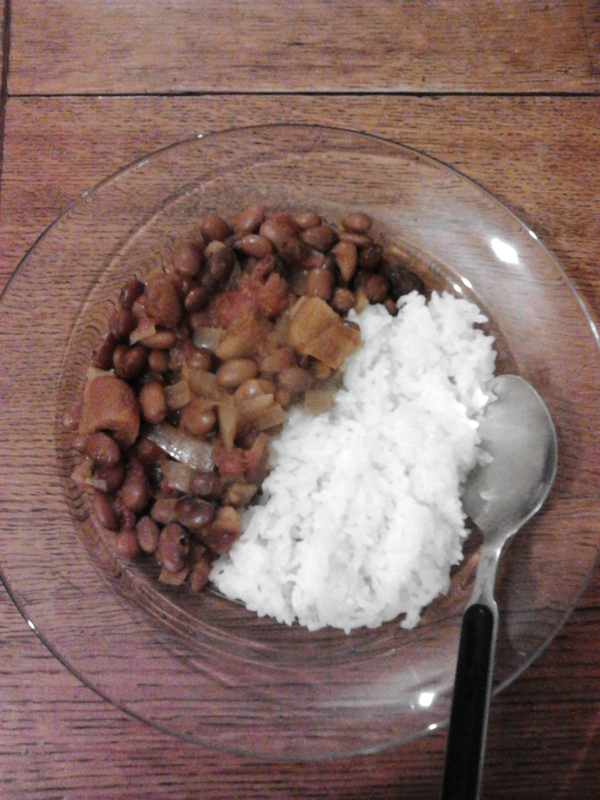 You can open a few tins of kidney beans, or alternatively cook your own from dried. I prefer the tiny military-tan adzuki beans for my recipe as they are easy to store, and cook relatively quickly in the pressure cooker (here’s my preferred reference for pressure cooking times). One tip: if you are cooking your own beans, the flavour is greatly improved by adding a bay leaf to the pressure cooker before cooking. You’ll need about three cups of cooked beans, or the drained contents of two tins, to make enough refried beans to feed 4 – 6 hungry adults. From there, the recipe is easy. 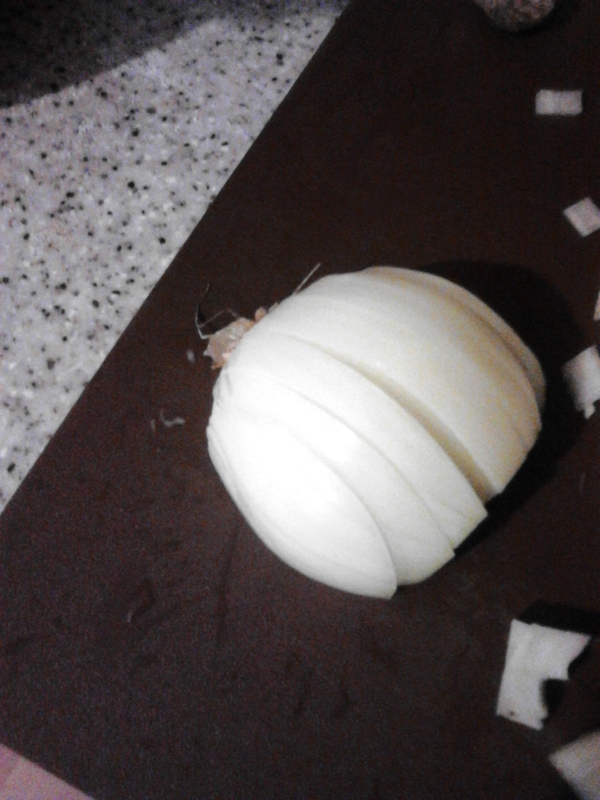 Saute the onion and garlic until soft. Add the tomatoes, chilli and bay leaf and mix well. 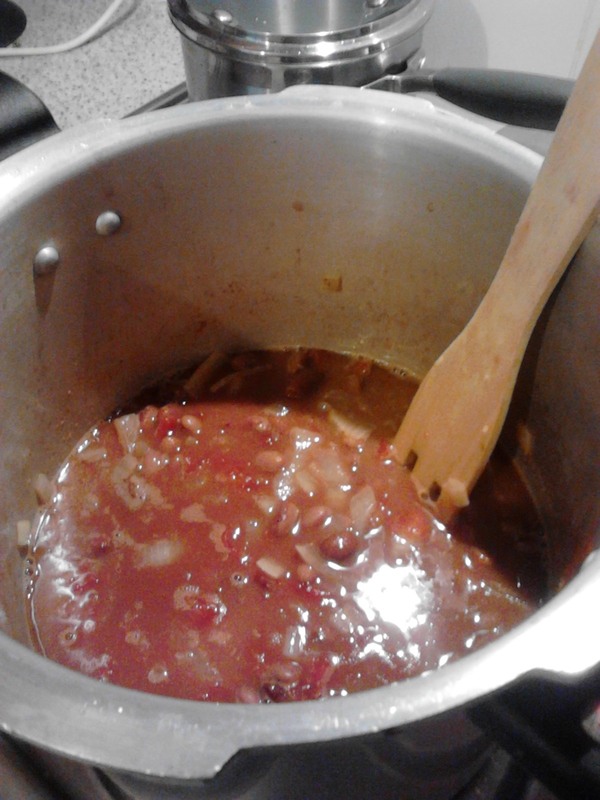 Add the beans and mash (ideally using a potato masher) into the sauce until everything is pureed. It’s up to you how much texture you decide to leave. Continue cooking, stirring occasionally, with the lid off until the puree starts to stick to the bottom of the pan. Garnish with the coriander leaf if desired. This is a work in progress. A very good friend has a vegan cafe and restaurant, and last time I went she fed me the most amazing cabbage curry. I haven’t managed to replicate the unctuousness of the original yet, but this is still very tasty. If you ever visit Durban, South Africa, do stop in at “It’s all good”. Whatever is on will be tasty and healthy – a far too rare combination. Quarter the cabbage, remove the hard centre and slice finely. Rinse the chopped cabbage under running water to remove any dirt, and allow to drain. 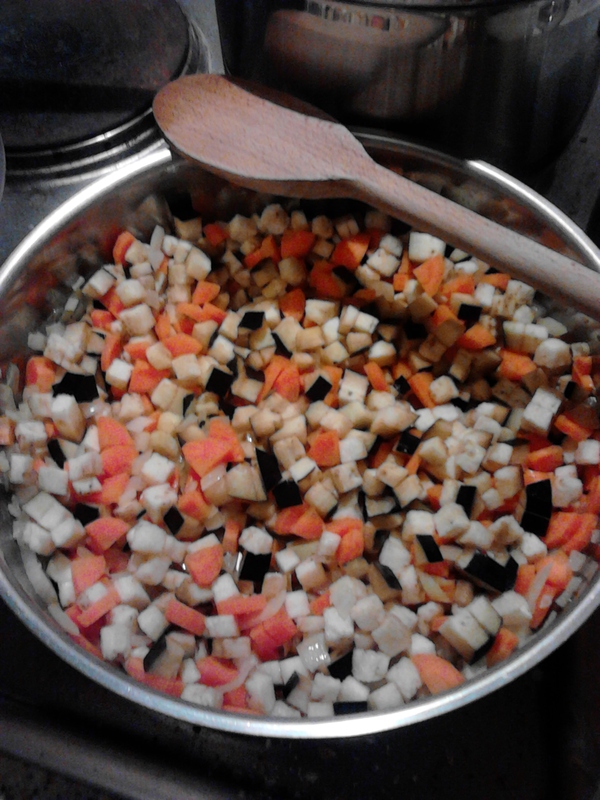 Peel the aubergine (carefully, the skin is tough) and cut into 1cm dice. Heat 1 tbsp of the oil over a medium heat in a large pan until the oil shimmers shimmers. Add the cumin and mustard seeds, and fry for 2-3 minutes until the seeds splutter. Add the coriander, turmeric and chilli powder and stir for a few seconds. Add the chopped tomatoes and squash them down into the spices. 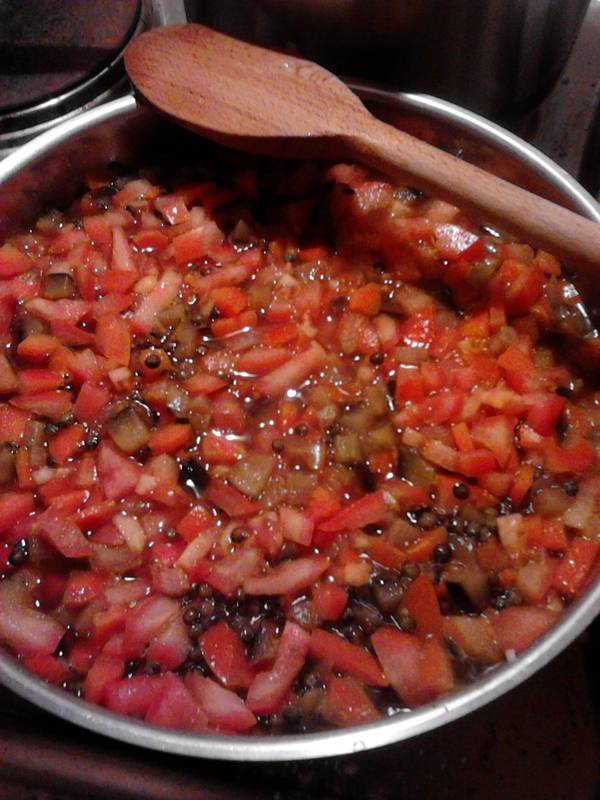 Add the aubergine and stir to coat in the spicy tomatoes. Add the cabbage and lemon juice, cover, and cook over a medium heat for 5 minutes until it is wilted. Add the salt, mix well, cover, and cook for a further 5 minutes. 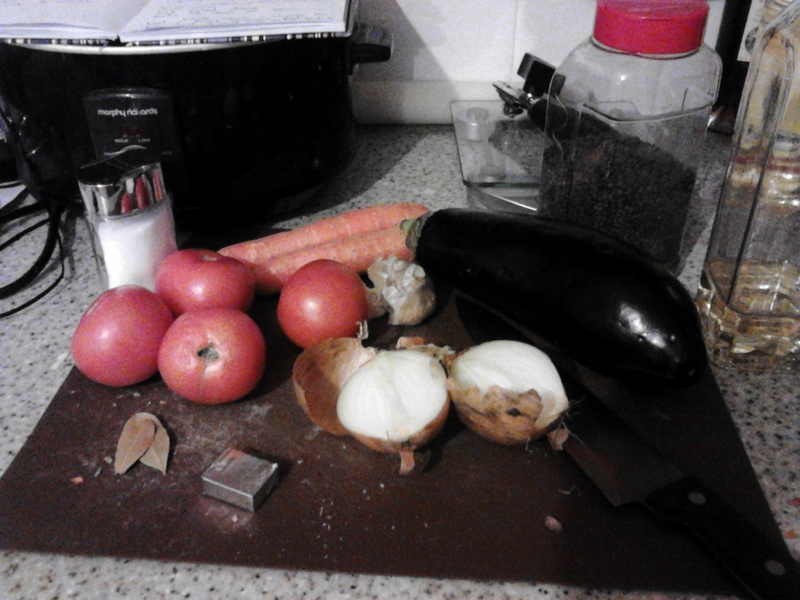 Uncover, mix well, recover and continue to cook for another 3×5 minutes until the cabbage and aubergine is tender. Add the other tablespoon of oil and the honey/sugar, mix well, and cook uncovered for 5 minutes or until any surplus liquid has boiled off. Serve with boiled brown rice if you can. The nuttiness of the brown rice really complements the cabbage. It’s been a while since I’ve posted – working a compressed shift will do that to you…. So, last week I was hungry, I was tired, and I didn’t want to have to think while I was cooking. 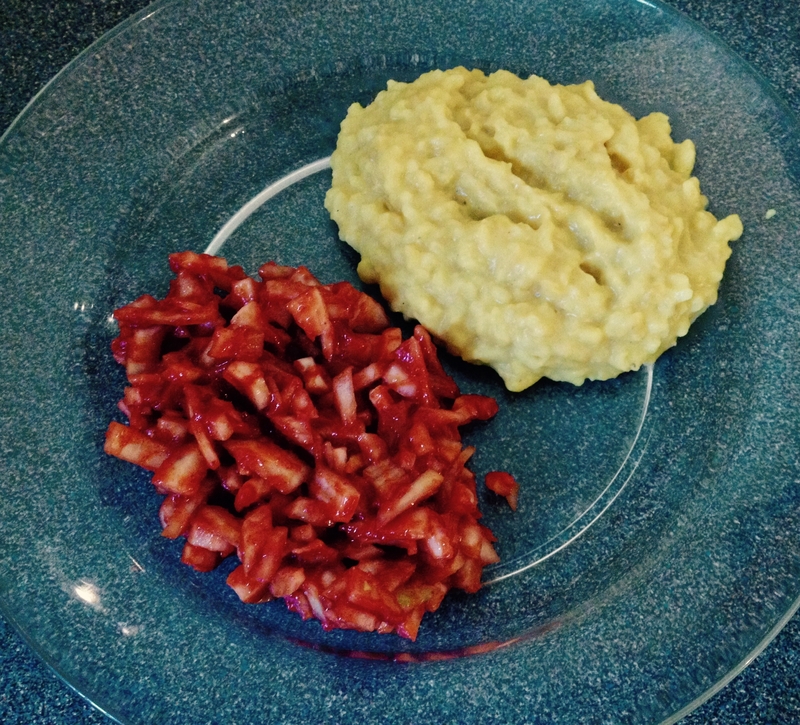 This is a lovely mixture – a bit like a savoury rice pudding with a crunchy, sweet and spicy onion chutney for contrast. Mix everything together in a glass bowl (plastic will stain). Place in the fridge and leave until the dal is cooked. Mix everything except the garam masala together in a large pan. Add 250 ml water and bring to the boil. Reduce the heat to a simmer and cook for 15 minutes, stirring regularly. 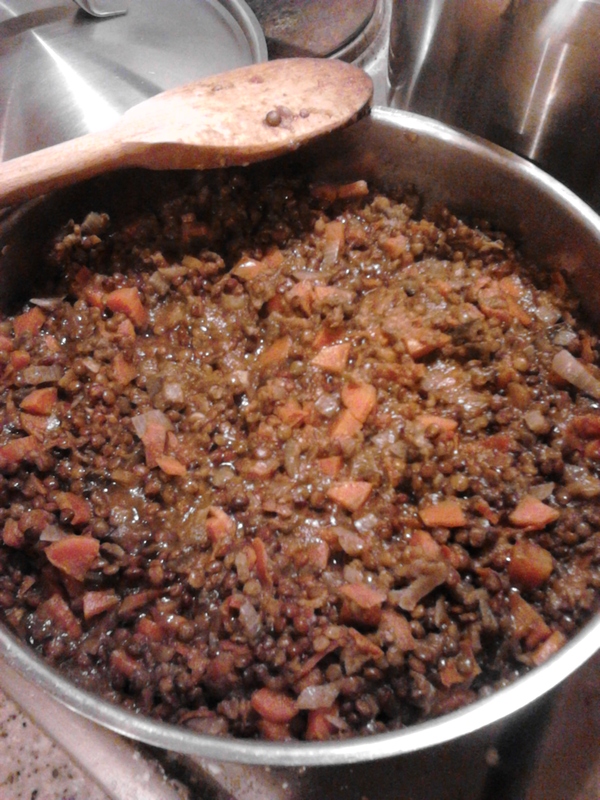 If the dal begins to thicken and catch, add 50 – 100 ml more hot water and continue to stir. You are aiming for a thick, rice-pudding consistency. 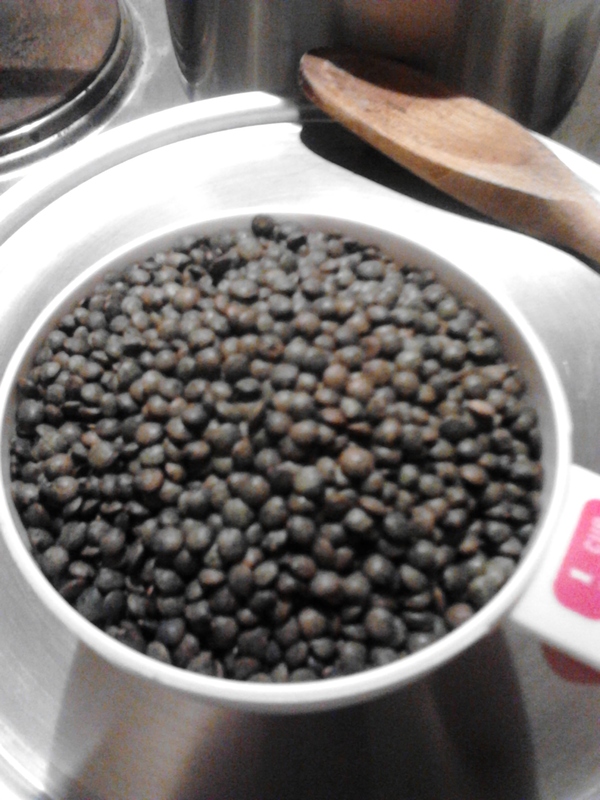 Just before you are ready to serve the dal, add 1/4 tsp garam masala (or to taste) and stir through thoroughly. Recipe doubles easily, and the icing quantity is enough for 24! These are incredibly moist, and very filling too, and a great use for those tired carrots in the bottom of your crisper drawer when you have absolutely had enough of soup. They are done when a skewer comes out clean. The mixture does rise, but doesn’t dome up so you will have flat-topped muffins . Once cooled, mix up the icing and drizzle in straight lines across all the muffins to give a zebra-striped effect. 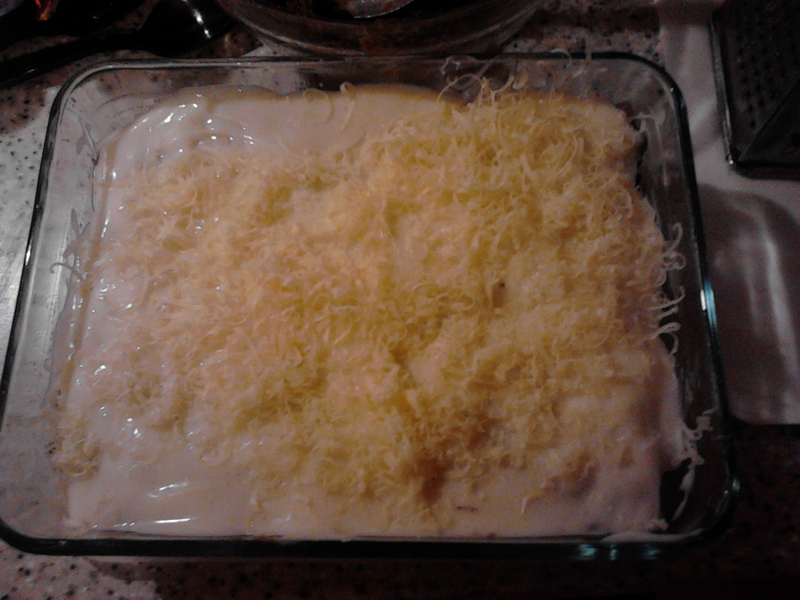 The recipe can also be made as a 20×26 cm tray bake, in which case baking will be 45 min – 1 hour. 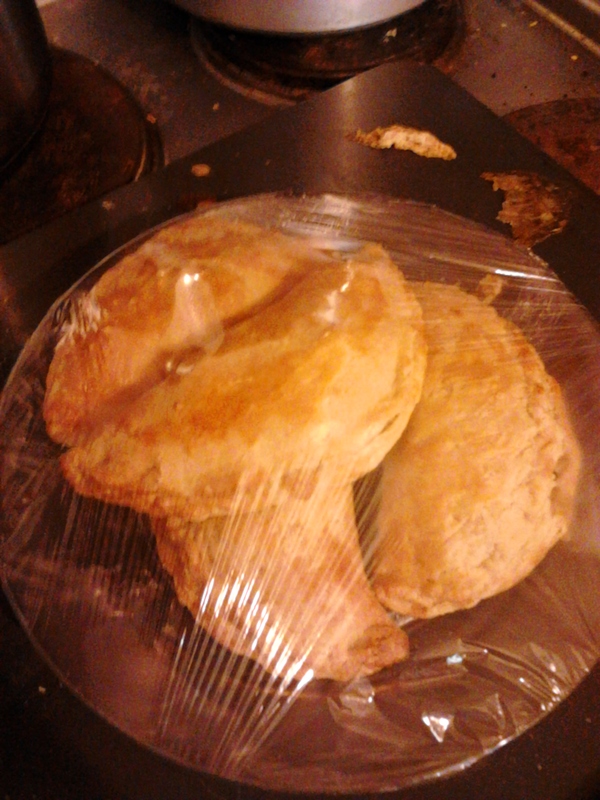 Next time, I will try reducing the amount of sugar, as these were very sweet. If you want to freeze the muffins, do this before or after icing, but they will be easier to store if they are not iced. As I have just promised this recipe to a friend who is feeding hordes of hungry teenagers, this will be a quick-and-dirty posting with no pictures and minimal chat. Fry bacon and onion gently until onion is translucent. Add mushrooms and stir well to mix. Add rice & fry for 1 minute. Bring to the boil, cover and simmer for 20-25 min until the liquid has been absorbed. Put the pan in the middle of the table, provide a stack of bowls and spoons, and watch the stuff evaporate. Today was dreich. A good Scots word for a rather wretched Scottish day. Outdoors, it was wet, windy, dark and thoroughly unappealing. So, what to make with store-cupboard-only ingredients that would be a warming welcome-home for DH after a double shift yesterday, and another long one today. 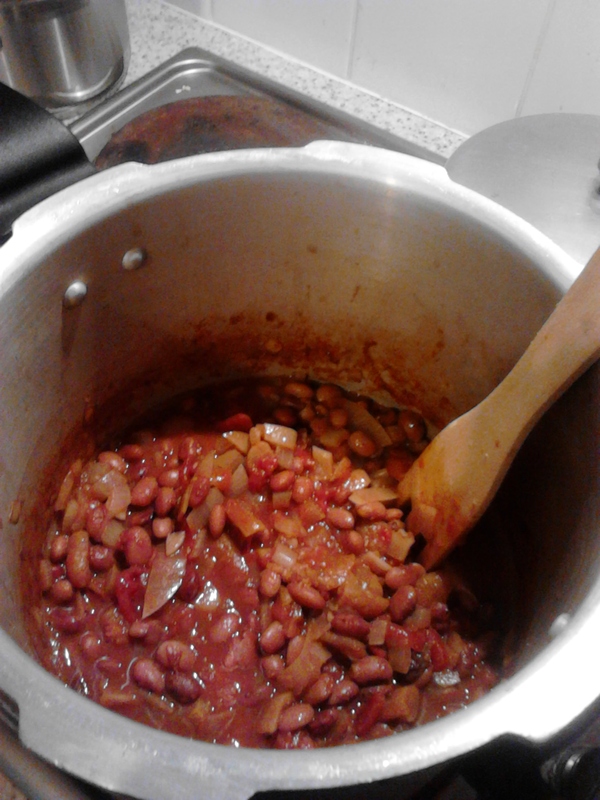 Tip out the soaking water and put the beans in a large pan with 1 litre of water. Bring to the boil and boil vigorously for 10 minutes. Reduce the heat, cover, and simmer for 30 minutes. Meanwhile, chop the onions and fry them gently until soft. Add the spices and ginger and stir well. Add the garlic and fry for another few minutes, until it stops smelling raw. 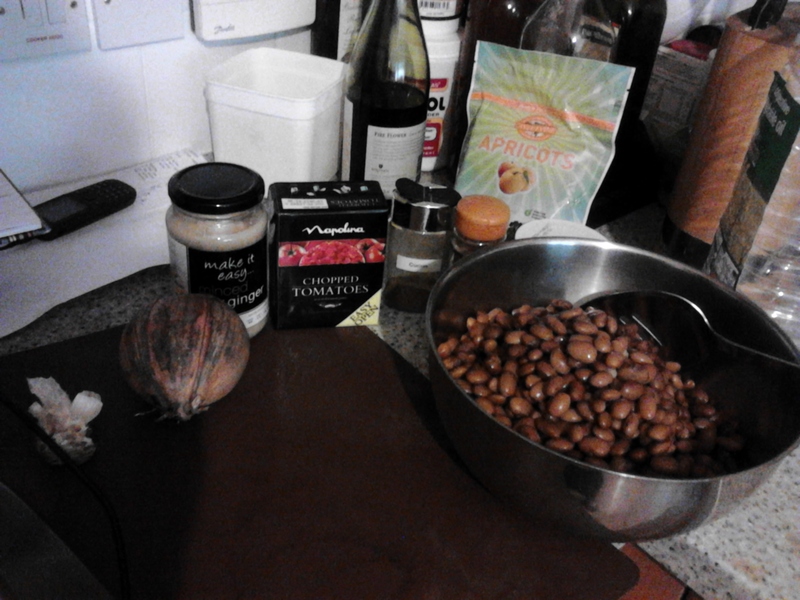 Add the part-cooked beans along with their cooking liquid, then the tomatoes, veggie stock cubes, apricots and sultanas. Bring back to the boil, and simmer uncovered for a further 30 minutes until the beans are tender and the cooking liquid has reduced to a thick, unctuous gloop. Stir occasionally, but I’ve never had this catch yet (touch wood). Serve with rice, bread, or whatever takes your fancy. After all that, though, his nibs decided he would prefer hummus, so 5 mins in a mini-blender later, that was his dinner along with oatcakes and some of the red wine I won at work. I’ll post that recipe another day. Wednesday night arrived, and with it the lovely news that DH didn’t have to work. Lovely, except that I hadn’t planned dinner to include him, as he gets fed when he is at the cafe…. Nothing on the plan and not much in the fridge either, so there was a momentary panic before I remembered this recipe, which will go from ingredients to table in less than 30 minutes. It’s one of DH’s favourite recipes, modified from a magazine article many years ago. Put some greaseproof paper on a baking sheet. You really need this as the wraps can weld themselves to whatever you cook them on. Bake in a hot (200C) oven for 20 minutes, remove and allow to stand for 5 minutes to firm up a little. Cut like a pizza and eat hot or cold. It freezes and reheats very well. This time we had ours made with 4 wraps, and about 150g of cheese, and it was yummy but only fed 2 adults and 1 6-year-old. More wraps and more cheese = more people…. First cook the beans in the water with the bay leaf added until very soft: 9 minutes in a pressure cooker at High pressure, or 40 minutes in an ordinary pan. Pour everything into a large bowl, and clean the pan. Fry the onion gently until soft. Add the cumin, chilli flakes, peppers, beans & cooking liquid along with the bay leaf. Liquidise / blend and add salt to taste. Serve with bread & butter. This is seriously spicy, so if you don’t like heat, try adding ground ginger instead of the chilli flakes.